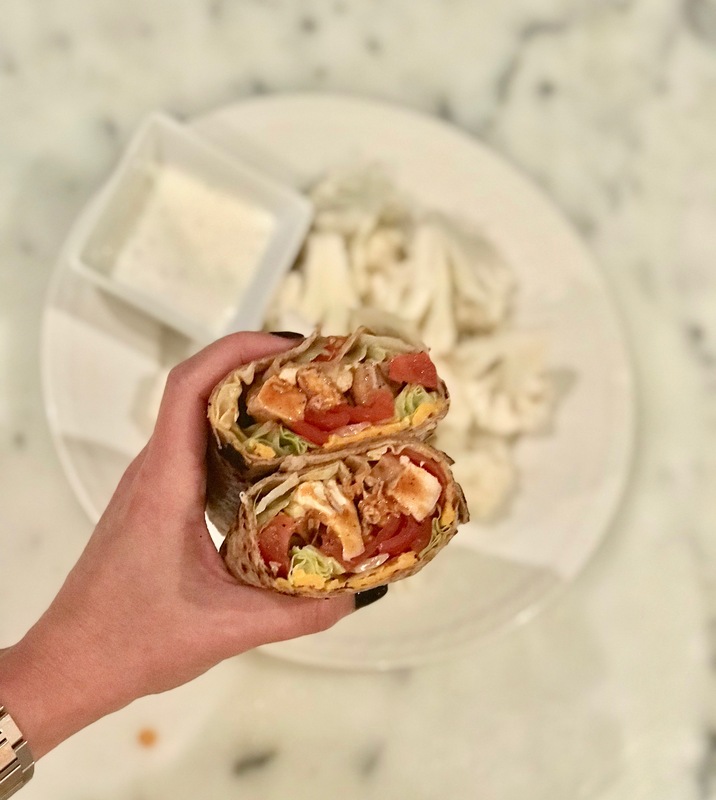 BUFFALO CHICKEN WRAPS, HEALTHY STYLE – Foodhomeco. I’ve taken one of my favourite pub meals and made it both healthy and weeknight dinner friendly. The sauce here is a simplified and healthier version of a buffalo sauce, which is typically made by combining hot sauce with butter and vinegar. You marinate the chicken in a sauce, cook, then toss in an amazing sauce after cooking, just like buffalo wings. If you’re making a kid-friendly version without the spice factor, you can simply cook some of the chicken breasts in some olive oil/salt/pepper and skip the tossing after. Then you’ll slice all of the chicken up and put it into the wrap. Marinade: mix marinade ingredients in bowl and add chicken breasts. Mix with tongs so that they are covered well. Let it marinate on counter while prepping other ingredients. You can also marinate ahead of time and put into refrigerator. Prep skillet: meanwhile, coat your cast iron skillet with a thin layer of oil and heat on med so it’s nice and hot when you cook the chicken. Cook chicken: turn heat to high and add chicken to skillet (leave sauce behind because it will burn). Sear each side for about 3 minutes, then put into oven to finish off. 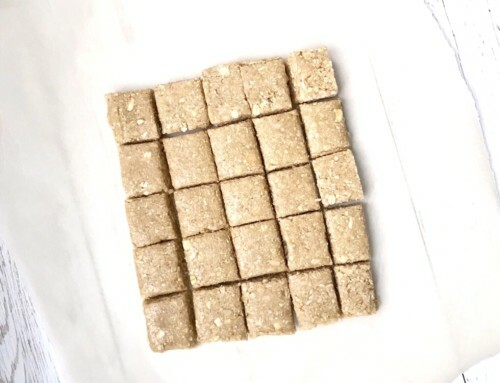 Bake until chicken is fully cooked through (varies depending on size of chicken breast). Prep sauce: prepare the tossing sauce by combining Franks and honey in a clean bowl. Remove chicken with tongs and place onto cutting board. Slice chicken into ½ inch pieces then add to bowl with tossing sauce. Prep wraps: brush tortilla wraps with a little oil and grill each wrap in a pan over medium-low heat. Make sure you do both sides. 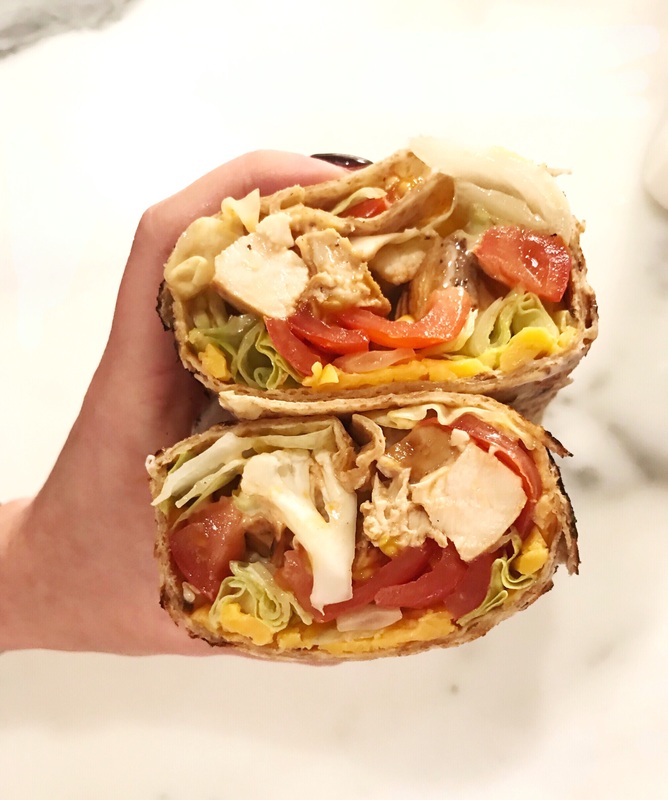 Wrap them up: layer each wrap starting with lettuce, tomato, cheese, chicken, a few pieces of crumbled cauliflower, ranch, then spoon a little of the extra sauce chicken was tossed in. Line everything down the middle. Wrap by folding in each end up a bit, then roll length-wish as tight as you can get it. Place wrap seam side down and slice in half. Before slicing you can wrap in parchment, roll, twist ends and slice in half right in the parchment. Serve with cauliflower florets + ranch dip. If your kids don’t like spicy food, you can prepare their chicken simply with vegetable oil, salt + pepper. Cook the chicken the exact same way and then let them choose toppings and build their own wraps. Alternatively, you can turn these ingredients into a quesadilla (plain cheese or chicken and cheese) for the kids.